For any traveller finding themself in a different country for a few days the obvious thing to do is explore. So when a horde of Brits overwhelmed a hotel ahead of a good friend's wedding, it was inevitable the conversation over breakfast would turn to which sights we each planned to visit that day. Destinations were varied, including beaches, mountains, distilleries and, in my case, bookshops. Reactions were generally similar, including oohs, ahhs, cheers and, when directed at me, raised eyebrows. It didn't take long for me to tire of the quizzical reactions, but mostly I pitied their narrow-mindedness – everyone needs a starting point for their travels, so why not let that starting point be bookshops? It worked for me. Especially when I found myself driving south along the N15 and struggling not to be distracted by the beautiful, rugged countryside surrounding me. Further on stunning beaches and coastline awaited, and in the middle of my journey was a stop at the Four Masters Bookshop in Donegal town. Now I admit, when I entered the bookshop it wasn't what I expected. For starters my first view was not of books, but of gifts and cards. Looking to my right, I then saw the books stretching out along one wall, taking up the smaller half of the shop's length. It's not what I'd normally ask of a bookshop, but I kept an open mind and began to investigate. Thankfully, that feeling of being underwhelmed vanished when I actually started looking at the books. First up were fiction and recommends, swiftly followed by Irish fiction, young adult, classics and all the non-fiction you need, including bargains and an extensive local interest area that could've happily set me up for months of exploration if I'd had the time off work. As it was I only had an hour to enjoy my surroundings, realise how many Irish authors are already on my bookshelves and pick a book to get to know another. 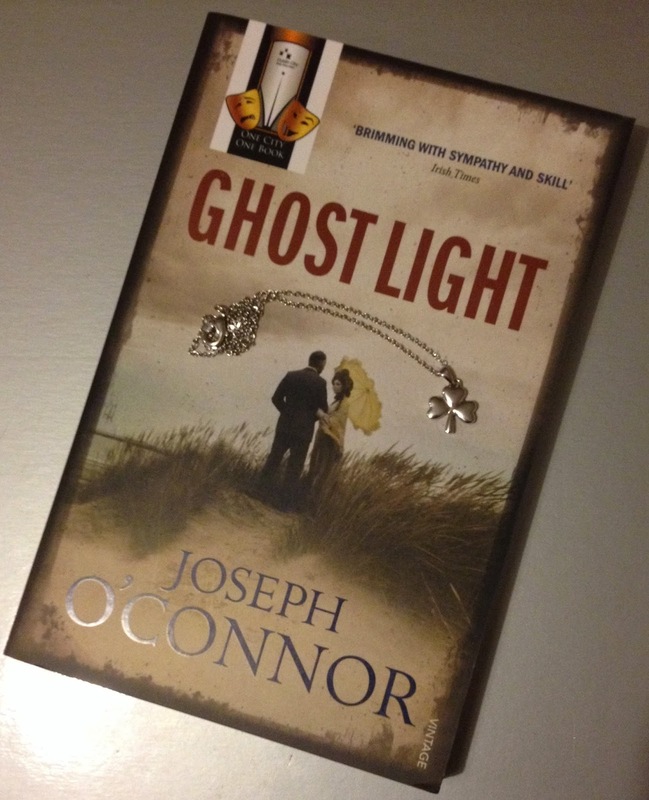 I should probably have already read something by Joseph O'Connor, so choosing Ghost Light hopefully makes up for lost time. Which only backs up my earlier navigational reasoning: bookshops are a great way to discover destinations you might otherwise overlook. Glad you made it to this one, it is certainly deceiving, but the selection of books is excellent! It was! I spent a *long* time struggling to cut down my selections to just one book.